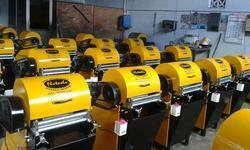 We offer Banana Fiber Machines. The highly experienced team of our organization offers ball fiber opening & fiber collector to our esteemed customers. It is compact and runs for longer period of time with minimal care. 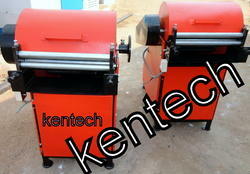 ball fiber machine is easy to operate and can be customized as per the requirement of the clients. Machine's are very good in quality with the daily extraction capacity of 36 Kg in 8 Hours. They have 3 HP Crompton Greaves motor's attached for high performance. With the thorough knowledge of the varied aspects of the market, we have been able to provide the customers with a remarkable assortment of Banana Fibre Extraction Machine. Offered array of machine is developed in strict accordance with the global quality standards by employing superior-grade raw material and genuine tools. We are the leading manufacturers of Banana Fiber Extracting Machine with good quality and price. Clients can avail from us an extensive array of Banana Fibre Extraction Machine that is highly demanded all across the nation. We have gained reputation as one of the foremost firms Banana Fibre Extraction Machine. Due to longer life, these products are extensively used in the market. Modern Bio tech is a large manufacturerof Bio products, Banana Psueostem extract is available as per requirement.